The U.S. Supreme Court heard oral arguments on Monday in Vance v. Ball State University, a case that could create a more uniform legal standard for determining when an employee is a supervisor under federal harassment law. Fourteen years ago, the Supreme Court ruled that employers can be held strictly liable for sexual harassment and other forms of unlawful harassment by a supervisor. When a supervisor engages in unlawful harassment that results in a tangible, adverse action against an employee, an employer is automatically liable for that harassment. In contrast, employers are only liable for unlawful harassment by a non-supervisor when the employer knows or should have known of the harassment and fails to take prompt and appropriate action to stop the harassment. 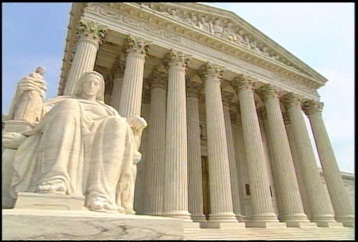 In the years following the Supreme Court’s strict liability ruling, federal appellate courts have been divided over who constitutes a “supervisor.” Some courts have held that a “supervisor” is an individual with the power to fire, hire, demote, promote, transfer, or discipline an employee. This approach has the advantage for employers of being a bright-line test that is more predictable and easier to apply in determining which employees pose more legal risk for employers and need management-level training on their anti-discrimination and anti-harassment obligations. Other courts, however, have adopted the Equal Employment Opportunity Commission’s broader definition and have found that a “supervisor” includes an individual with the authority to direct daily work activities, like making work assignments, or to recommend employment actions. Advocates of this broader definition argue that it a more appropriate standard given the evolution of workplace practices. They argue that workplaces have become less hierarchal and more collaborative, blurring distinctions between supervisors and lower-level workers and leading to more workers having power and authority over others even without the ability to hire or fire someone. The Supreme Court may resolve these conflicting standards in the Vance case. The Vance case involves racial harassment claims brought by a university catering employee. The critical issue before the Supreme Court is whether one of the individuals that allegedly harassed the claimant was a supervisor. This individual had similar duties to the claimant, but did not have to clock in or out like the claimant and had authority to determine if daily tasks were being completed by the claimant. The individual did not, however, have any hiring or firing authority over the claimant. If the Supreme Court adopts a broader definition of “supervisor,” employers could face an increase in harassment claims and strict liability exposure. This will mean, more than ever, that employers need to ensure that they have strong anti-harassment policies and measures in place and that they are adequately training all supervisors on their anti-harassment and anti-discrimination obligations. We will be tracking the outcome of the Vance case and updating you when the Court rules on the case, likely sometime before next June.